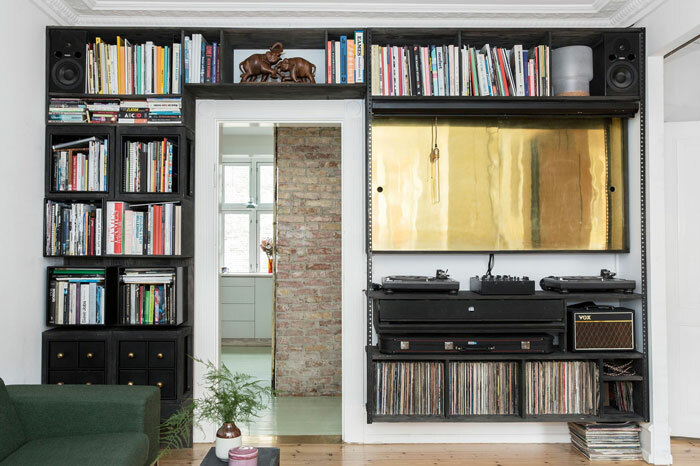 A family of four in Copenhagen, Denmark, lives in this apartment. 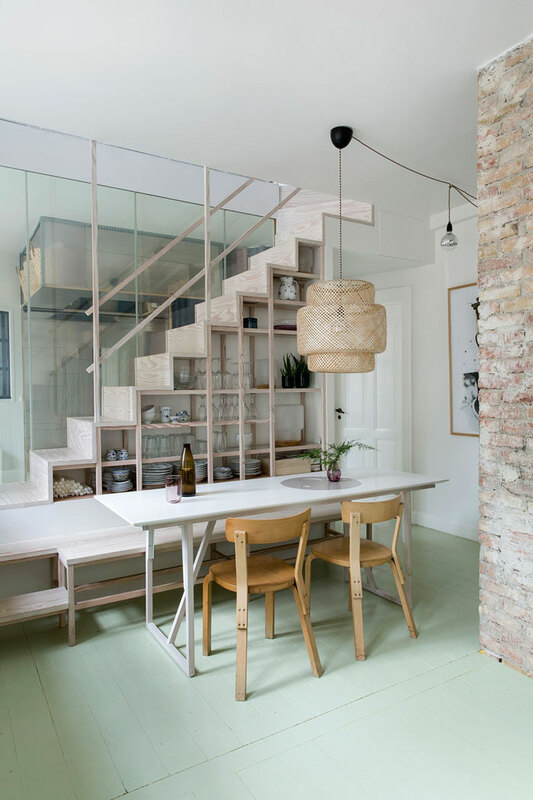 With the help of architecture and design studio Spacon & X, the owners optimized every inch available with numerous clever solution for the small layout of their home. 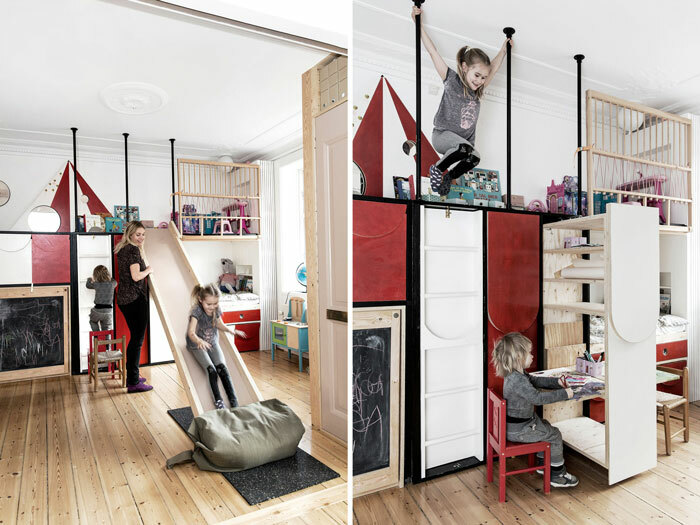 They created multifunctional spaces and “zones” that can be used for different purposes. 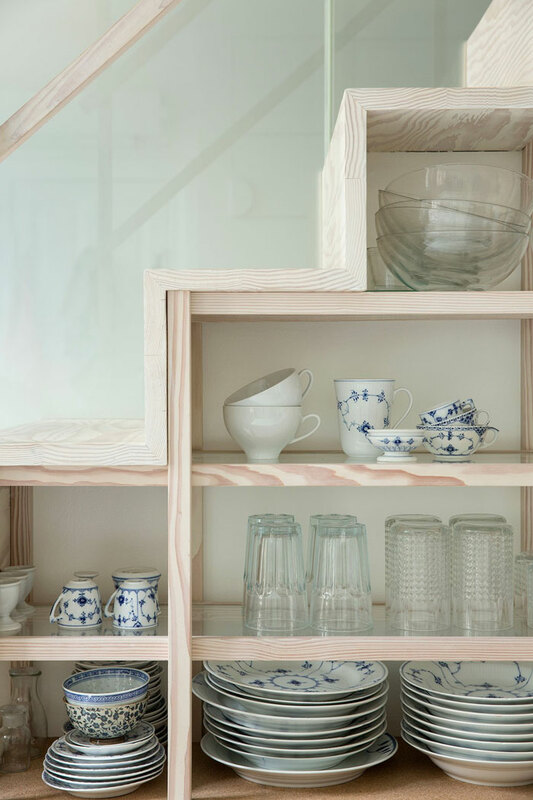 For instance, the beautiful staircase is also a cabinet and chest of drawers. 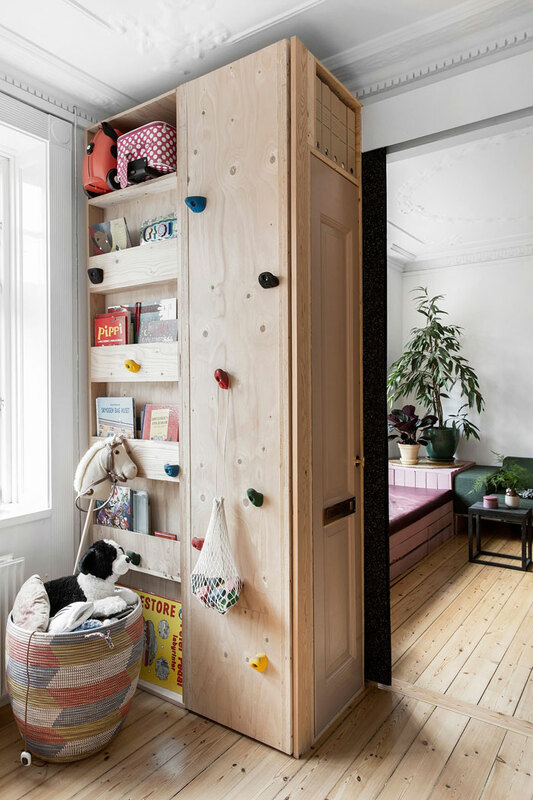 It acts as a separation between the kitchen and the guestroom, which features a Murphy bed and above the head storage. 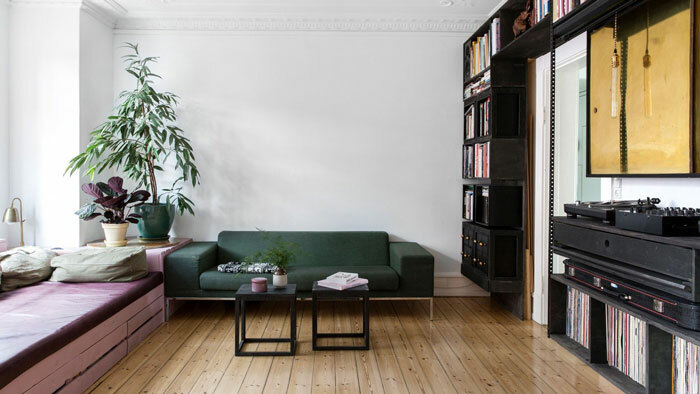 The living room has a built-in cabinet that hides stools, small tables and a Murphy desk. 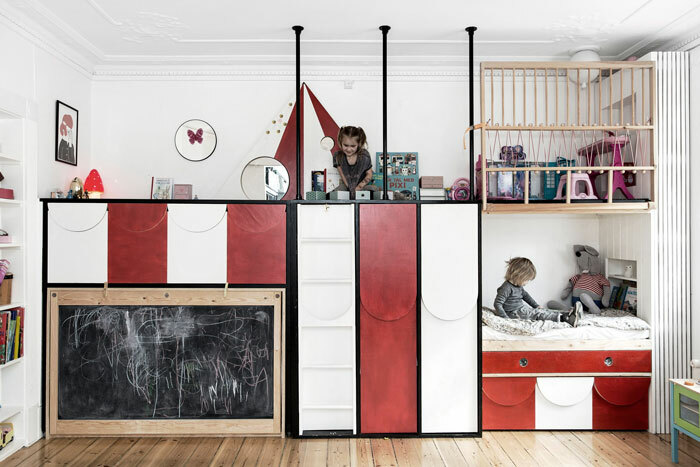 The kids’ bedroom has a large unit that was custom built to enclose the beds, closet space and toy storage, and much more – What kid wouldn’t want a slide like this? So fun! 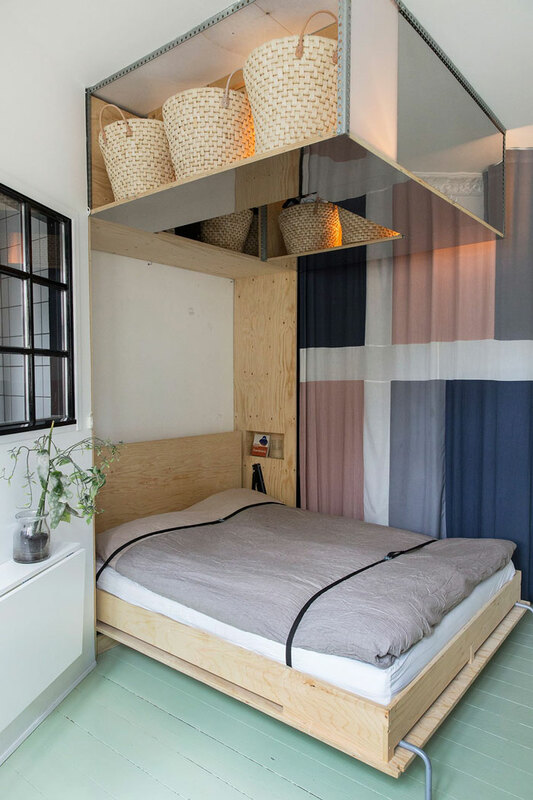 The master bedroom is located on the upper floor, and creative solutions are abundant there too. Read more about this great place and see more pictures here. 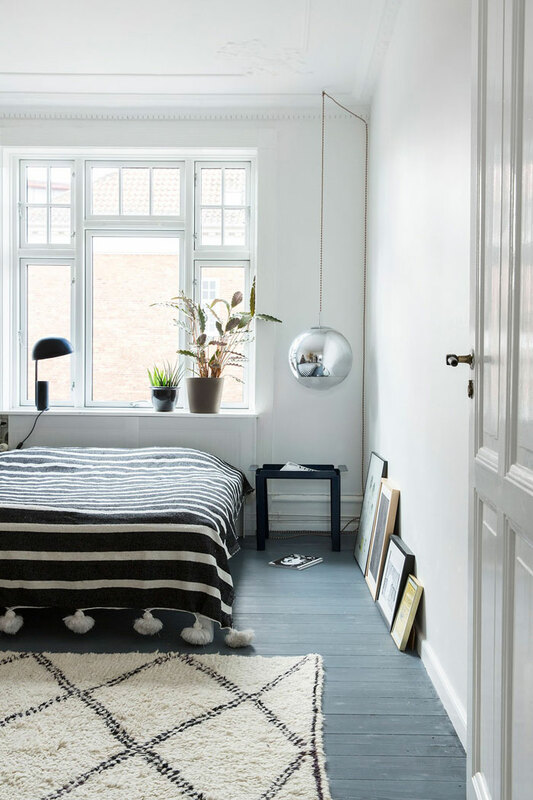 Photos: Pernille Kaalund via Yatzer with thanks. Lovely home this is! Are the measurements mentioned in this article correct? 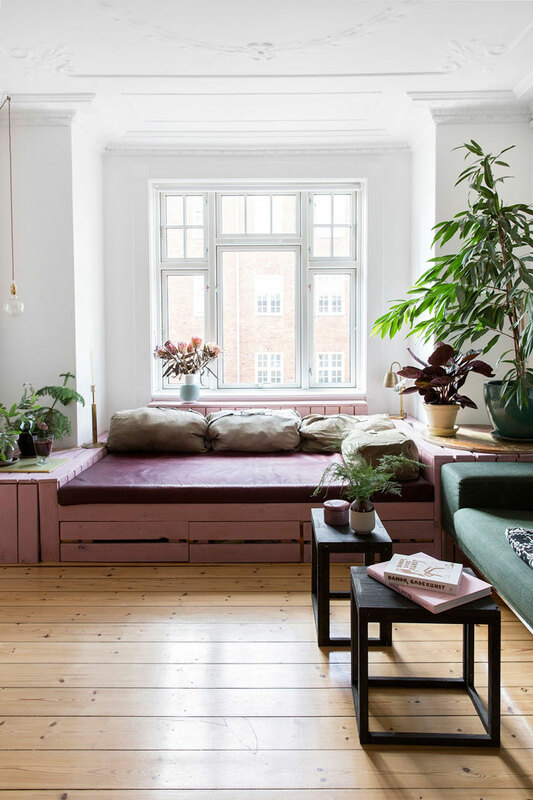 If so, I wouldn’t exactly refer to a 145 square metres home as a home with a ‘small layout’. This home is much larger than my family home, as it is compared to many other European (and I would dare to say US) city homes. You are right. 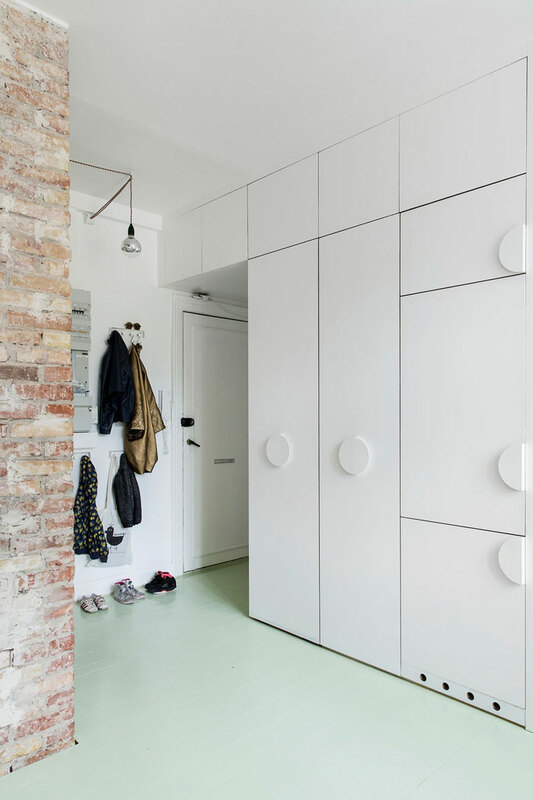 While I was writing the article I kept thinking about how great these storage solutions were for a small home, without ‘realizing’ that this one was 145 sqm… It is indeed a proper size!! I’ll double check the info, just to be sure. Thanks for your comment!